What a summer! 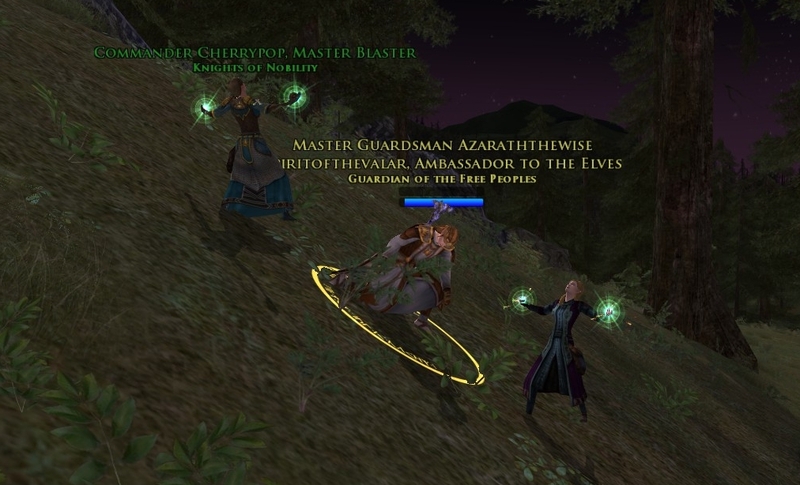 I have been spending more time the past 2 weeks watching Olympics than actually questing. It is one of the few sporting events I watch and in typical fashion, I do it to excess. Since Ettenmoors is about to get a facelift and remodel, I looked back through my Moors photo file and pulled some of the better ones. 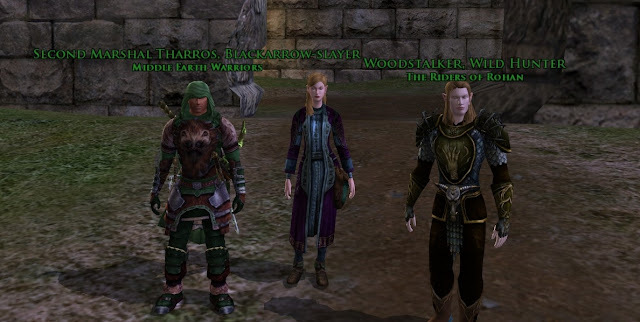 I don’t have much witty commentary today; so as followup to the previous <ettenmoors-75-rk-armor-audacity>, here I bring you… my Moors scrapbook. The picture above is where I am standing on a hill in the north, looking down the Hoardale River toward Tol Ascarnen and STAB (south TA bridge). 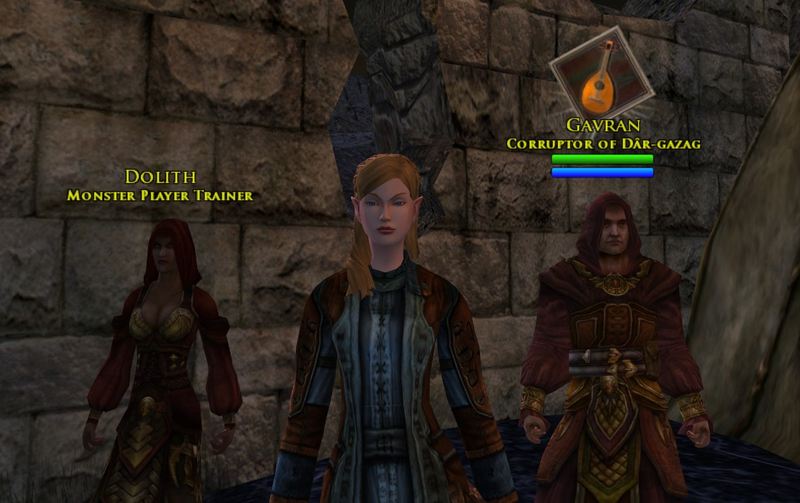 This next shot is an older one, where I am in Moria armor, before I got the original level 65 Moors armor. 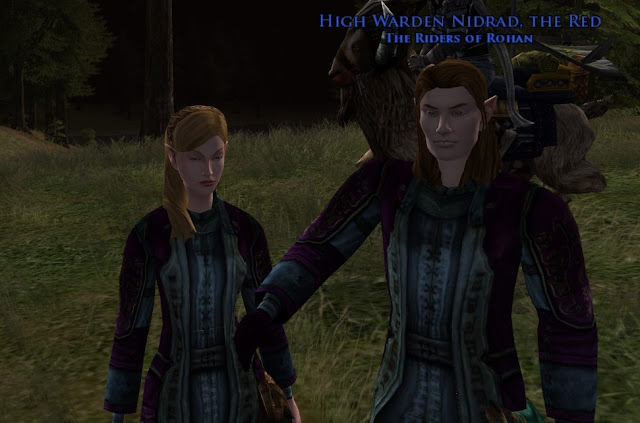 I am riding Minas Ithil and meeting Malendar, Arkenstone’s #1 Moors RK who is riding the black PVP steed, Mahogany Bay. Stout Mini Firawing welcomes me; she knows what is in store and has her lightning blue track shoes laced up. It did not take long to meet up with and make friends with Tharros, the #2 Arkenstone Moors Hunter. He explains what the Moors flags are for and why he is carrying it on his back. 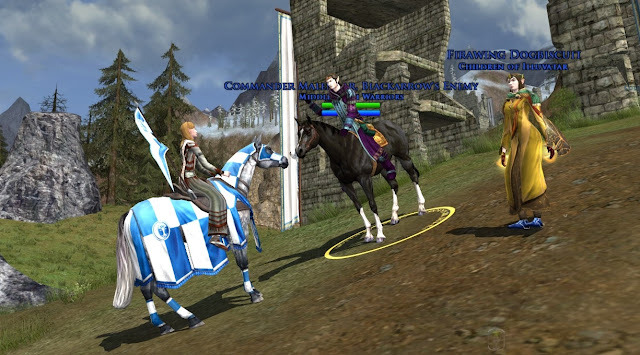 I am well flanked between Tharros and Malendar as we ride toward TA. The fact that I ride out front is more young exuberance, and definitely not because I was “leading” anything. Friend an fellow RK Nidrad and I are dressed as twinsies. Going out as a pocket healer to two excellent hunters is a safe place to be sometimes, as I follow Tharros and Woodstalker into battle. This shot was taken before the Commendation armors, back when all high end armor wasn't dyed Rust color. 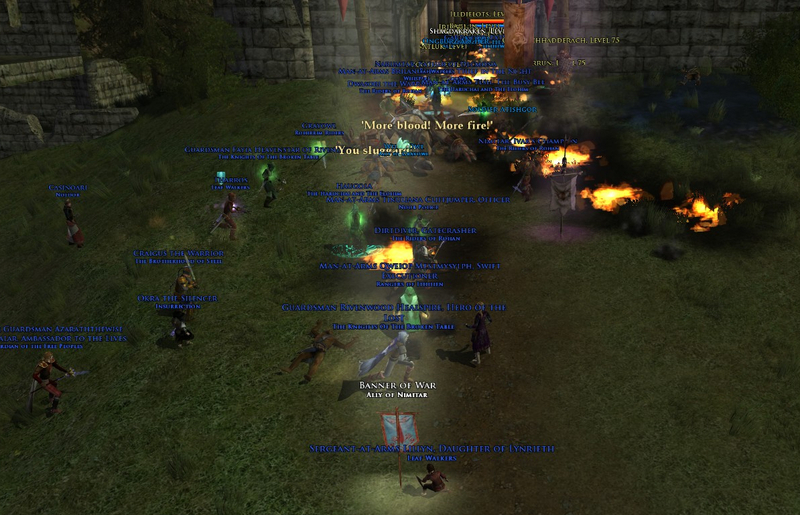 Heading to Grothum, hunter Woodstalker senses the horde coming our way. Burg Audrelier throws his stealthy protection over us to help us hide or turn the tide. 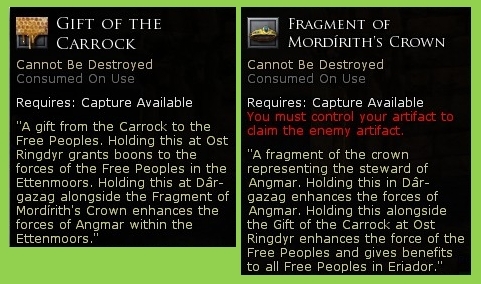 Sometimes, full Raid versus Raid is the only way to go when the Creeps dominate the land. The Creep raid had taken TR and The Freep Raid presses the door to try to win it back. Midnightgirl and I are out to save the day!... 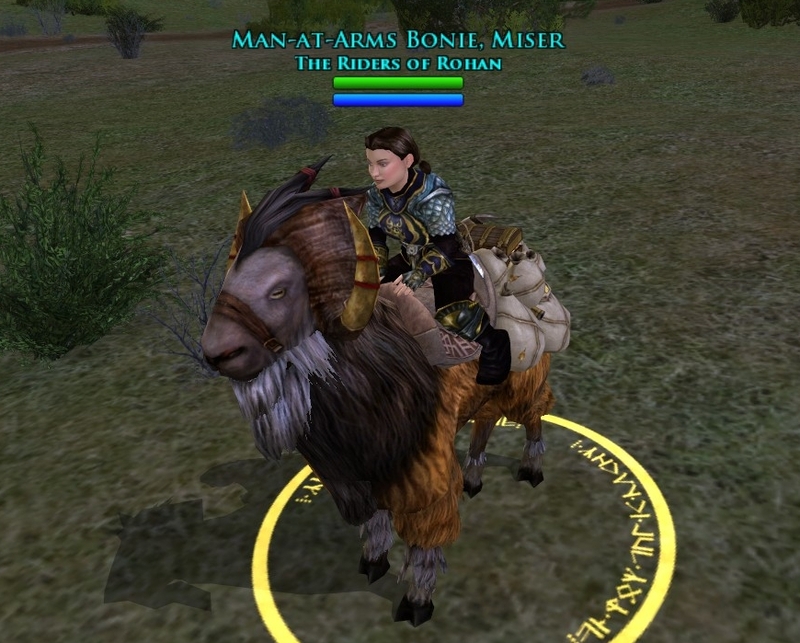 or at least rescue the hobbit Alf Earthenway from an untimely demise at the hands of goblins in Grothum. 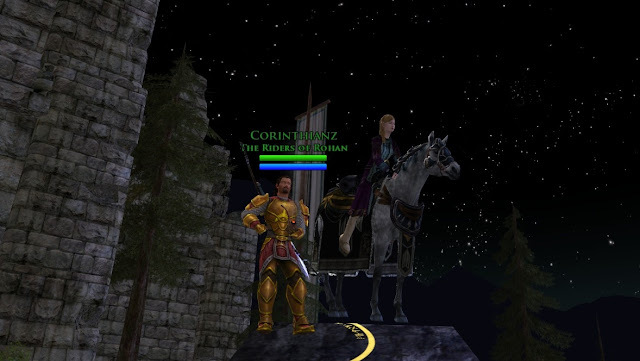 Guardian Corinthianz and I watch from a higher vantage point near the Lugazug entrance waiting to see if the horde is coming to flank us. 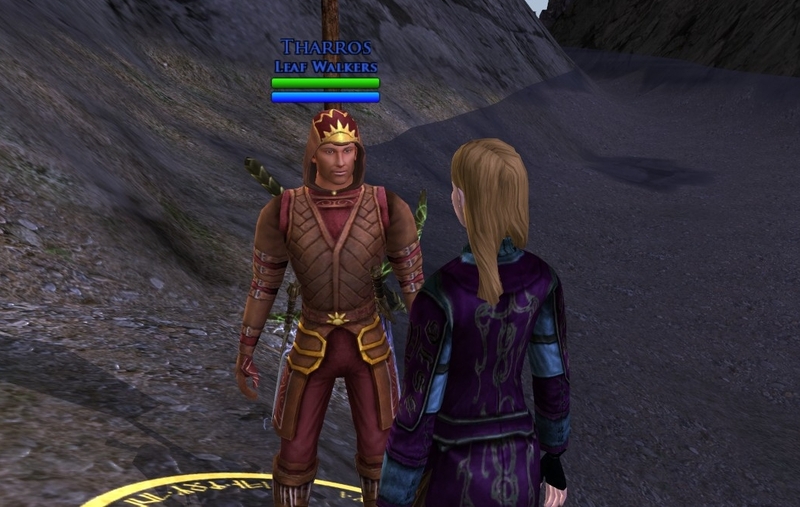 Dressed in bright gold, one would think he might attract more attention. That should be a requirement that Guards dress as flashy as possible, lol! A bonnie Bonie burg might be small and favor riding a goat, but she packs a punch! Tyrant Barashish cannot hold Tirith Rhaw against an assault of a coordinated small team of Auderelier, Corviss, Ioteleth, Midnightgirl, Lillyn, and myself. Like all the keep bosses, at this pre-Rohan update, a small strike force will take them out unless they have more than minimal Creep support. Amidst a break in the swarming warg pack, Commander Cherrypop and I both go to rez fallen comrade Azarath. Deep within the heart of the Creeps at Dar Gazag, I stop for a photo op with the Creep trainers, Dolith and Gavran. It is a bad day for the Creeps when the Freeps are standing in their stronghold. 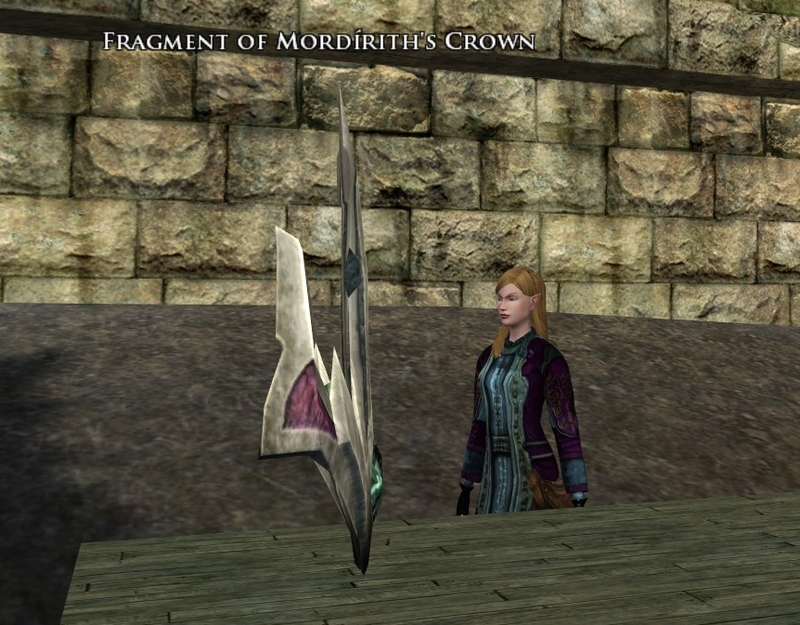 If you ever wondered what happened to Mordirith’s Crown, the Creeps salvaged it and use it to bolster the horde. 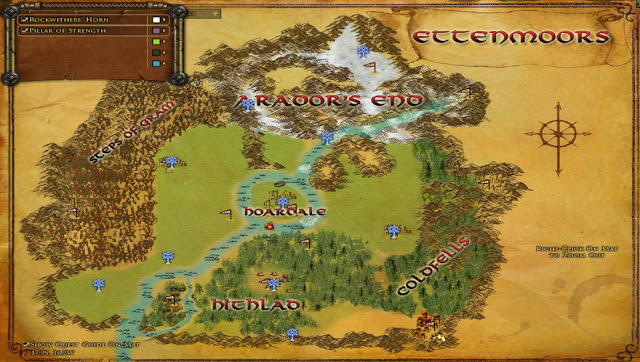 Claiming and bringing it back to Ost Ringdyr is celebrated throughout Middle Earth (until they reclaim it). Like the Crown, the Free People have a symbolic object of victory that they will try to keep protected. Here is a picture of story text associated with each. 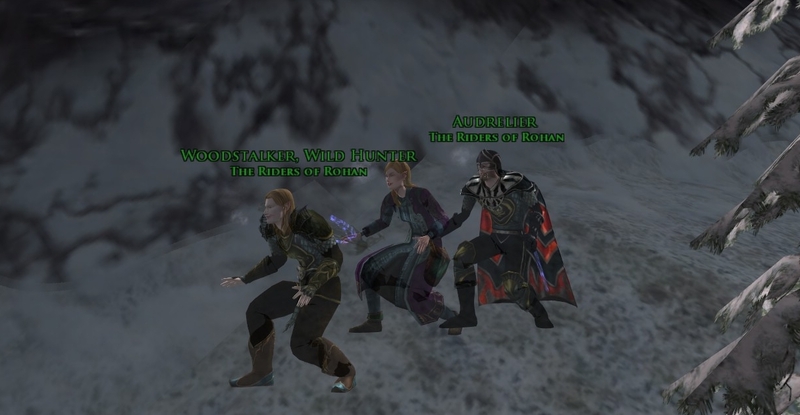 In case you think that the Devs don’t have a sense of humor, stop by and visit the “Dummies” in the Moors. You can take out your frustration there versus cursing in open forums. J Kudos Kelsen, Jalessa, and Orion. Love the Moors stories, you make me miss it! Been a while since I was there, but I love to go there and heal on RK (I'm mad, yeah I know it). I wish my boyfriend would like EM a bit more, I bet I'd be around there a bit more. I giggled the first time I saw those named training dummies, I love them! I used to heal more in the Moors, but after the Mini class was revamped to be a Moors-juggernaut, the Moors has seemed to be flooded with Minis, in a good way. lol (I think that was one of the Update 7.x.) Now, I always trait to dps, and some healing happens in an emergency.